India is currently in an advance stage of negotiations with Russia for five S-400 system worth an estimate USD 4.5 billion. 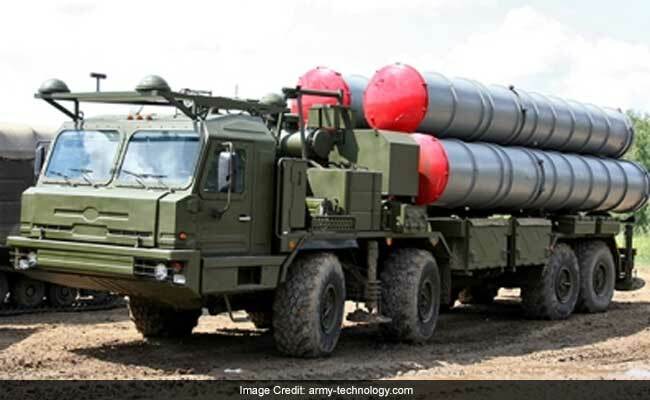 Washington: Top American lawmakers and experts have warned that imposition of sanctions on India under a newly-enacted law if it buys the S-400 air defence missile system from Russia could be disastrous for the Indo-US ties. Countering America's Adversaries Through Sanctions Act (CAATSA), which was signed into law in August 2017 and went into effect in January this year, mandates the Trump administration to punish entities engaging in significant transaction with the defence or intelligence sectors of Russia. At an event on the Capitol Hill, experts and lawmakers warned that any imposition of sanctions on India, which is now a major defence partner, could be disastrous for the bilateral relationship and as such there is an urgent need to prevent that from happening. "I do think, it (CAATSA) is a serious issue that needs to be dealt. There needs to be a dialogue between the US and India. Our goal is not to sanction India, Congressman Joe Crowley, House Democratic Caucus Chairman, said at the US-India Friendship event. But given the kind of destabilising activities Russia has been doing across the world in particular against democracies, it is important to slap sanctions against Russia," he said. "But when it comes to those third-party agreements I think there has to be dialogue between the US and India; understanding the needs that India has as a nation for self-defence as well that has to be taken into consideration," Mr Crowley said in response to a question. Flagging the issue, Nisha Desai Biswal, the former Assistant Secretary of State for South and Central Asia and the current president of the US India Business Council said that CAATSA sanctions is something that members of Congress need to be "really critically aware" of and thinking through as they deal with the intention around the Russia Sanctions legislation. "It is something that we are all mindful of and looking at very very carefully. 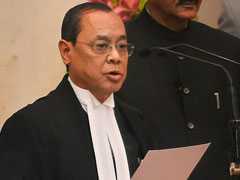 But I do think that we need to acknowledge and address the continuing importance for India of its relationship with Russia and how we how we manage the way forward on that issue," Mr Biswal said. CAATSA sanctions would "damage" US-India relationship, warned Keith Webster, who represented Pentagon in the Defense Trade and Technology Initiative (DTTI) in the previous Obama Administration. He is currently president of the defence and aerospace export council US Chamber of Commerce. Observing that the purpose of this legislation is certainly not to target India, Benjamin Schwartz who leads the US-India Business Council's Defence and Aerospace programme, said one of the unintended consequences of two words significant transactions in that legislation is that it's exacerbated some of the concerns about the US as a reliable security provider. The legislation says that if a significant transaction takes place with the Russian defence or intelligence services that country or that entity is subject to potential US sanctions. There is a potential of a waiver to take place at the presidential level, Mr Schwartz said. I say this is unintended because the only country or at least the country that would benefit the very most from any type of sanctions from the United States on India would be Russia. So that was clearly not the intention of this legislation. I personally don't think that the US Congress or the US government would ultimately follow through with that kind of situation because that wasn't the intention of the legislation." But one of the challenges that we faced in promoting US India defence relationship is demonstrating that the US is a reliable partner of India. So all efforts should be on trying to eliminate any of the ambiguity or the uncertainty that that legislative language may be creating, Mr Schwartz said.